Get a kung-fu grip on yourself as Geof Darrow’s blood-spattered killing machine the Shaolin Cowboy returns this April in a new four-issue mini-series to be published by Dark Horse Comics. 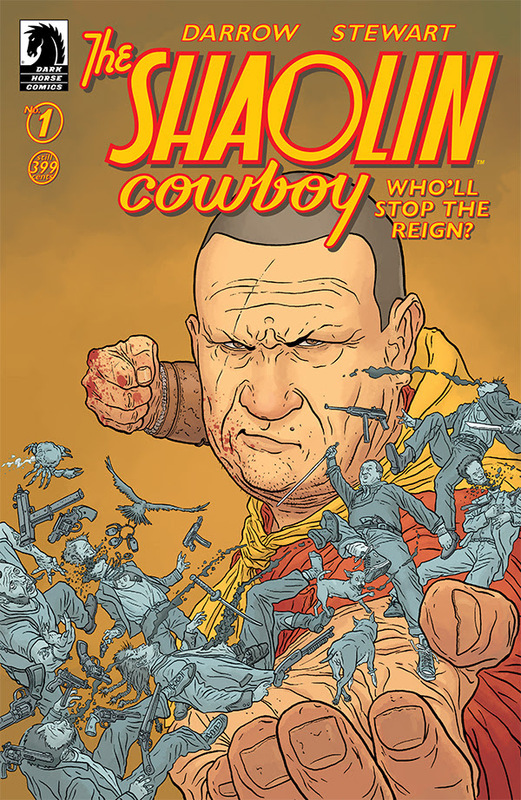 The Shaolin Cowboy: Who’ll Stop the Reign? will be written and illustrated by Darrow, who has won the Inkpot Award and won (and lost) multiple Eisner Awards, and colored by the Eisner Award-winning Dave Stewart. The first issue will have a main cover by Darrow and Stewart and a variant cover by the award-winning Frank Miller, Darrow’s co-contributor on Hard Boiled and Big Guy and Rusty the Boy Robot. 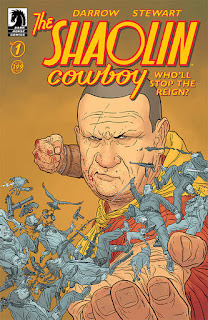 In The Shaolin Cowboy: Who’ll Stop the Reign?, the titular hero of the series finds that his road to hell is paved not with good intentions but old nemeses hell bent on bloody revenge. “For a press release about a comic known for not having much dialogue, this press release sure has a lot of words in it,” said Darrow. Before he was a Three-time Eisner Award winner, Geof Darrow was born in Cedar Rapids, IA. He is an ex-altar boy, garden mechanic and boom operator on a soft-core adult film. He resides in Chicago IL and his artwork inspires and disillusions fans and artists alike.